Explore the fascinating plains of Kenya with a seven night safari tour, taking you through multiple game reserves to spot the Big Five and more. From accommodation overlooking a watering hole, to flamingo and rhino spotting at Lake Nakuru National Park, this full board safari will take you through all the wonders of Kenya. 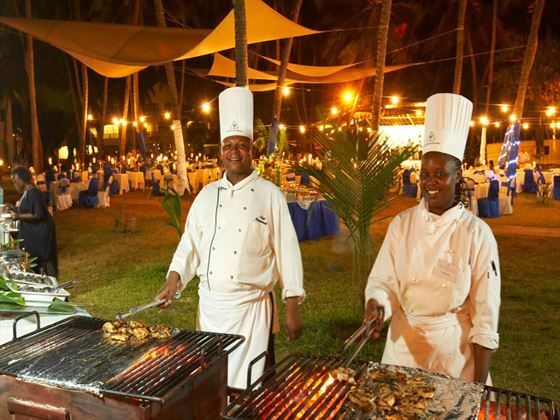 Afterwards you’ll be able to fully relax for seven nights at Bluebay Beach resort in Zanzibar, a peaceful resort located on a beautiful stretch of Zanzibar’s coast. 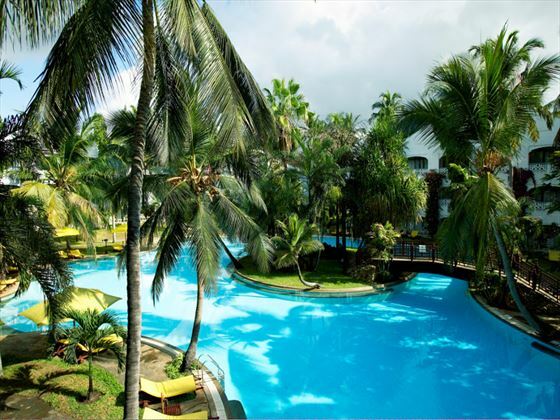 Here you’ll be able to rejuvenate at the resort’s spa, carry on the adventure with water sports, or simply just relax. 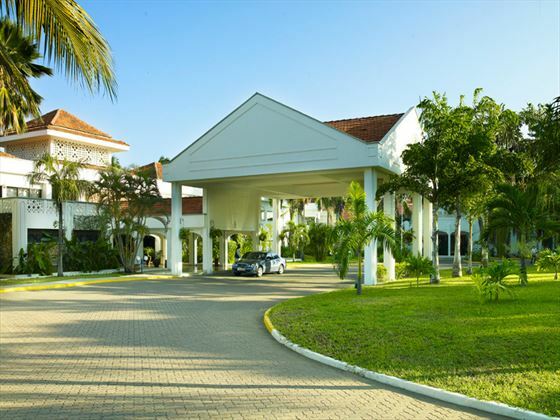 Start your journey from Jomo Kenyatta International Airport, where you’ll be transferred to Tribe Hotel via a minivan safari vehicle for a day of relaxing. Visit the Giraffe Sanctuary, or simply unwind at the hotel and pre-book lunch or dinner (at extra cost) at the delicious Carnivore Restaurant. Today you’ll have a six hour journey to Samburu National Reserve in a 4x4 pop-up roof safari vehicle, before a tasty lunch at Samburu Sopa Lodge. 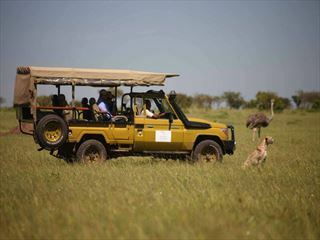 In the afternoon you’ll get to enjoy your first game drive in the reserve and spot grazing wildlife. Enjoy an exciting full day game viewing in Samburu National Reserve, with ample opportunities to see and photograph the wild animals. 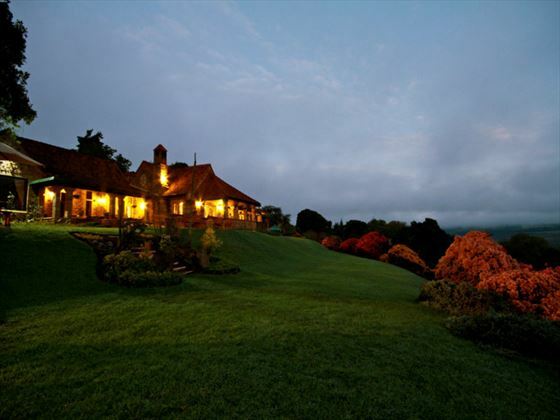 Start the day with a four and a half hour drive to Aberdare National Park after breakfast. 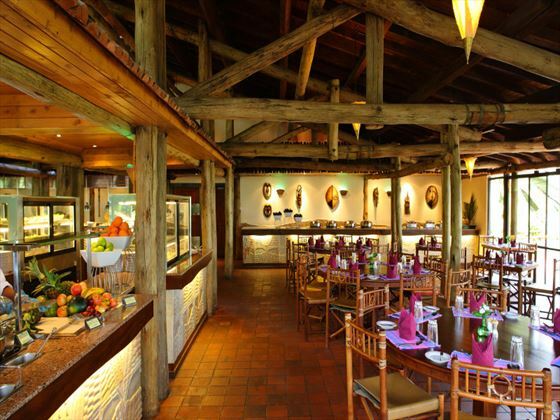 Here you’ll be having lunch at Aberdare Country Club before being transferred to The Ark Tree Lodge – fantastic accommodation that overlooks a waterhole, so you’ll be sure to see wildlife throughout the evening. 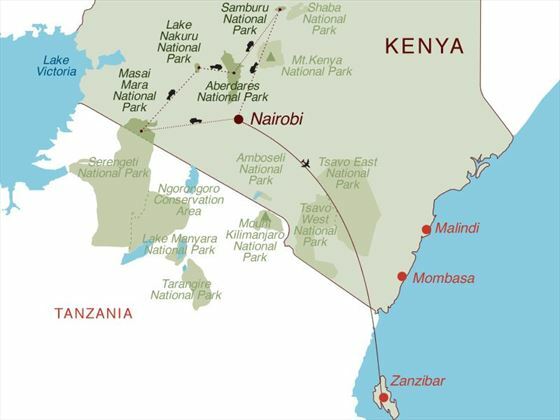 Savour a full breakfast at Aberdare Country Club before going rhino spotting at Lake Nakuru National Park, with a game drive en-route. 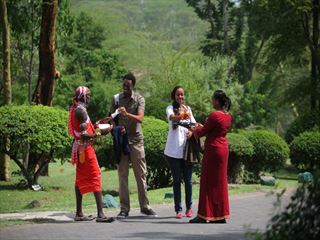 After three to four hours you’ll be checking in at Sarova Lion Hill Game Lodge for an afternoon game drive and dinner. 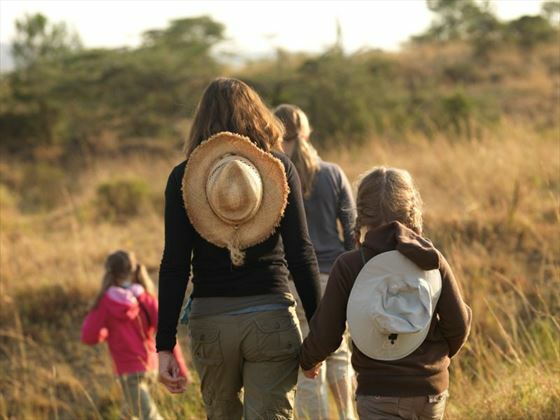 After breakfast enjoy a five hour drive to Masai Mara National Game Reserve, before having a tasty lunch at Keekorok Lodge and enjoying an afternoon game drive to spot the Big Five. 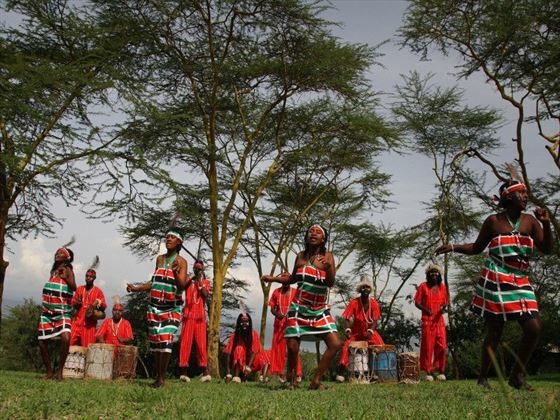 Immerse yourself in a full day game viewing in the Masai Mara National Game Reserve, and delicious meals at Keekorok Lodge in between. Before heading back to Jomo Kenyatta International Airport, you’ll be taken through an early-morning game drive en-route to the park gate. From there you’ll fly to beautiful Zanzibar and check-in to Bluebay Beach Resort, where you’ll be spending the next seven nights. 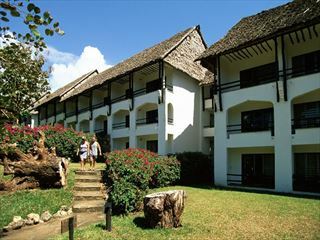 Along the stunning white sands of the Zanzibar coast sits the peaceful Bluebay Beach Resort. 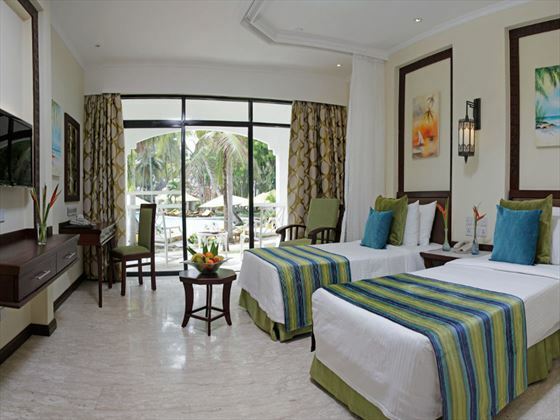 A gorgeous resort surrounded by towering palm trees and tropical gardens, this is the perfect place to relax and reminisce about your safari experience. Cool off and rejuvenate at the resort spa, tuck in to delicious food at the four restaurants and bars, or get an adrenaline rush at the water sports centre. There’s a lot to do here during your stay, or you can simply relax and do nothing at all.